The pair, named locally as Waseem Muflahi, 15, and Yahya Mohammed, 14, are feared to have drowned after going swimming off Barmouth Beach on Sunday. They were part of a large group visiting the beach from Birmingham on an outing reportedly organised by members of the Yemeni community. Rescuers said the search for the boys had been stood down, but that coastguard officers would continue to patrol the area. 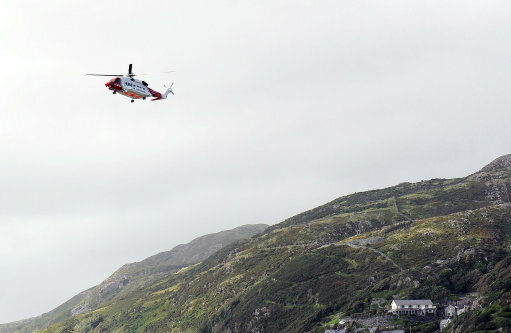 A coastguard spokeswoman said: "An extensive air, land and sea search co-ordinated by the UK Coastguard for two teenagers who were last seen in the water at Barmouth, North Wales, on Sunday has been terminated, pending further information. There had been strong winds and choppy conditions on the day they went missing, with rescuers saying the teenagers had got into difficulties at around 1.40pm.